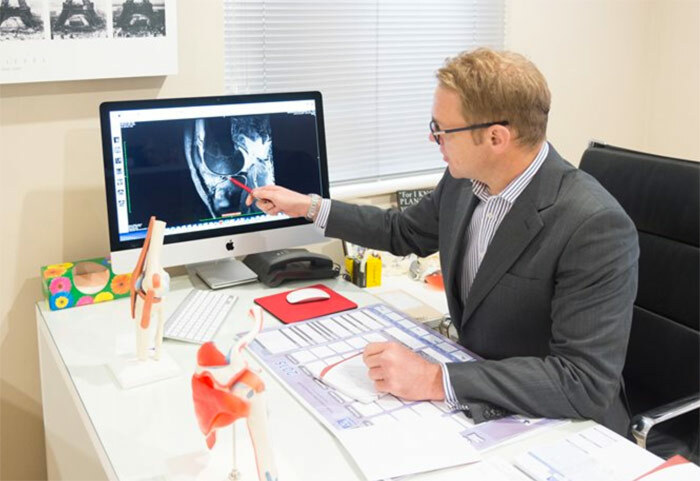 This site introduces you to Orthopaedic surgeon, Dr Hannes Jonker, his practice and specific procedures. On the site you are able to read up on general knee and shoulder problems and obtain important information on consultations and the preparation for surgery. The site serves as the clinical pathway to your efficient planning as a patient. We encourage you to visit our Video Library to learn more about the specific procedures which Dr Jonker performs. Refer to our section on patients' experiences to hear about our services in their own words. Please contact us telephonically or online with your specific enquiries. Our office is open for enquiries and administrative matters from 08h00 to 17h00 from Monday to Friday. Dr Jonker only consults on Mondays, Thursdays and Fridays from 08h00 to 17h00 at the office located at Mooimed. Procedures are performed at Mooimed Private Hospital on Wednesdays and at Mediclinic Potchefstroom on Tuesdays. Dr Jonker with his team, from the left Valerie, Doreen and Karen. Pellentesque dignissim, neque eu tempus vestibulum, tortor purus vestibulum elit, vulputate laoreet nulla elit a mauris. In ligula dolor, tincidunt id eleifend ut, cursus nec lacus.